44 Cloth Market, in main area of Bigg Market. Monday - Thursday 11am - 11pm, Friday & Saturday 11am - 1am, sunday 11am - 12am. Pumphreys Cellar bar open from 6pm. Beers: John Smiths, Fosters, Kronenbourg 1664, Coast to Coast, Exhibition and Guinness on tap. Strongbow and Woodpecker cider also on offer. An excellent selection of cocktails available. 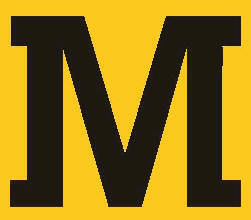 Live Sports: Live sports shown here on large TV screens including live football matches. Music: Regular music on play at most times. 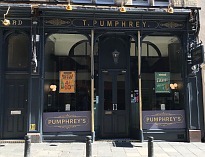 Pumphreys and Pumphreys Cellar bar is medium sized pub with a high ceiling and an L shaped wooden bar. The pub has a cosy and intimate lounge seating area at the rear with mainly a large standing area to the front. This area also has high tables for people standing with some stools by the bar. The pub is fully carpeted throughout and there are old Newcastle pictures and adverts on the walls. The huge mirrors opposite the bar are a notable feature of the pub and there is also ball type lighting throughout. There are two TV's located at either end of the bar and several games machines dotted about. There is an upstairs room which does not appear to be used. 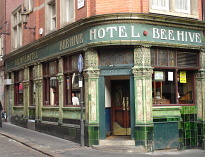 At times it is busier than some of the other bars in the Bigg Market, and always appears packed around the bar area. It is a little quieter early on during the week. Downstairs is Pumphreys Cellar Bar open from 6pm where there is a pool table and a unique, high-tech karaoke bar. Disabled access to the main bar is very good but difficult to the toilets that are upstairs. Toilets are small and clean.